2. Which One Is Better: TSP or Roth IRA? The Thrift Savings Plan, or TSP, is a qualified retirement plan for members of the U.S. uniformed services and federal employees. It operates like an employer 401(k) plan, offering the same kinds of tax benefits. If you belong to the TSP, you can elect to transfer or rollover some or all of your TSP balance to a Roth IRA. The rules governing this kind of transaction depend upon the type of TSP account that sources the transfer, and the method by which you move the money. 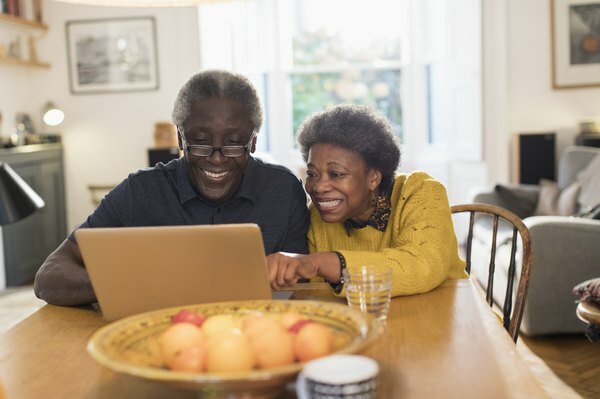 The TSP, like a 401(k), is a defined contribution plan, allowing participants to defer current earnings through contributions to their account. For 2019, TSP participants can defer up to $19,000 in annual earnings (any combination of basic pay, special pay, bonus pay and incentive pay) plus another $6,000 in catch-up contributions for participants who have reached age 50. Employers can make additional contributions to bring the total annual addition to $56,000 (not counting catch-up contributions). Participants can choose to divide their contributions between a pretax traditional TSP account and a posttax Roth TSP account. Your elective deferrals to a traditional TSP are tax-deductible, and the earnings they generate are tax-deferred. You pay ordinary income tax on distributions from your traditional TSP account, and may have to pay a 10 percent early withdrawal penalty on distributions taken before age 59 ½. However, the penalty might be waived if the distribution qualifies for certain exceptions. The distribution occurs on or after age 59 1/2, or you have died or become totally disabled. Any distribution of earnings that meets these criteria is tax-free and is known as a qualified distribution. Paid after you reach age 55 (50 for public safety employees) and you separate from service. Paid in a year in which you have deductible medical expenses in excess of 10 percent of your adjusted gross income. Part of a series of substantially equal payments made over your life expectancy. Tax-exempt contributions from pay earned by a member of the uniformed services in a combat zone. Made to reservists called to active duty for more than 179 days. Note that the list of TSP penalty tax exceptions differs from those available from an IRA. For example, IRAs provide exceptions for reasons of education and home purchase. There are two methods to move money from your TSP account to your Roth IRA. The first is called a transfer, and takes place directly between the trustees of the TSP and Roth IRA accounts. The second method is called an eligible rollover distribution (ERD), in which the money is withdrawn by the participant and then deposited into the Roth IRA account within 60 days. Employers withhold 20 percent of an ERD, but no withholding is performed for a transfer. If you have both a traditional and a Roth TSP account, all withdrawals are proportional based upon the balance of each. For example, if your Roth TSP account balance represents 40 percent of your total TSP balance, all distributions will come 60 percent from your traditional account and 40 percent from your Roth account. Furthermore, Roth TSP distributions are made in two pools, one each for contributions and earnings. For example, if your Roth TSP contains, say, 70 percent contributions and 30 percent earnings, distributions will be divided 70 percent in a contributions pool and 30 percent in an earnings pool. The amount you transfer from your traditional TSP to your Roth IRA (known as a TSP Roth conversion) must be added to your taxable income for the year. Because no withholding is performed, you may have to pay estimated taxes to cover the tax liability incurred by the transfer. The five-year penalty period on the transferred amount begins on Jan. 1 of the transfer year. The ERD used for a traditional TSP rollover to your Roth IRA must be added to your taxable income for the year. If you choose to rollover an ERD from your traditional TSP to your Roth IRA, you must use additional funds to plug the shortfall of the withheld 20 percent. If you don’t supply the 20 percent withheld from the ERD within the 60-day deadline, you will have to pay the 10 percent penalty on the shortfall. You also lose future tax-free earnings on the shortfall amount. For example, suppose you are younger than 59 ½ and take a $10,000 ERD from your traditional TSP account. You receive a check for only $8,000 because your employer withholds $2,000 for taxes. You have 60 days to deposit $10,000 in your Roth IRA to avoid a 10 percent penalty. You deposit only the $8,000 within the time limit, and therefore incur a $200 penalty (($10,000 - $8,000) x .10) on the $2,000 shortfall. You could have avoided the penalty had you added $2,000 from another source to your Roth IRA within the rollover period. You can transfer posttax money from your Roth TSP account to a Roth IRA tax- and penalty-free. The starting date for the five-year penalty period on the transferred amount does not carry over. Instead, it remains Jan. 1 of the year of your initial contribution to a Roth IRA. You can perform a Thrift Savings Plan rollover using an ERD from your Roth TSP and rolling it into your Roth IRA within 60 days. The portion of the rollover that represents Roth TSP contributions is not subject to withholding. However, a rollover of Roth TSP earnings that would trigger a 10 percent early withdrawal penalty is subject to 20 percent withholding. If you don’t deposit an amount equal to the withholding into your Roth IRA within the rollover period, you’ll pay tax and a penalty on the shortfall amount. The TSP requires minimum distributions beginning at age 70 1/2, for both traditional and Roth accounts. A Roth IRA has no required minimum distributions. The TSP plan requires that a spouse, if one exists, is automatically the sole beneficiary of the plan. To change beneficiaries, the spouse must give written consent. No such requirement applies to a Roth IRA. There are no income limits that restrict contributions to a Roth TSP, but such limits exist for a Roth IRA. A Roth TSP can be rolled into a Roth IRA. A Roth IRA cannot be rolled into a Roth TSP or any account other than another Roth IRA. What Is a Thrift Savings Plan Account Rollover? Can I Use TSP to Invest in Gold? Can I Quit My TSP?